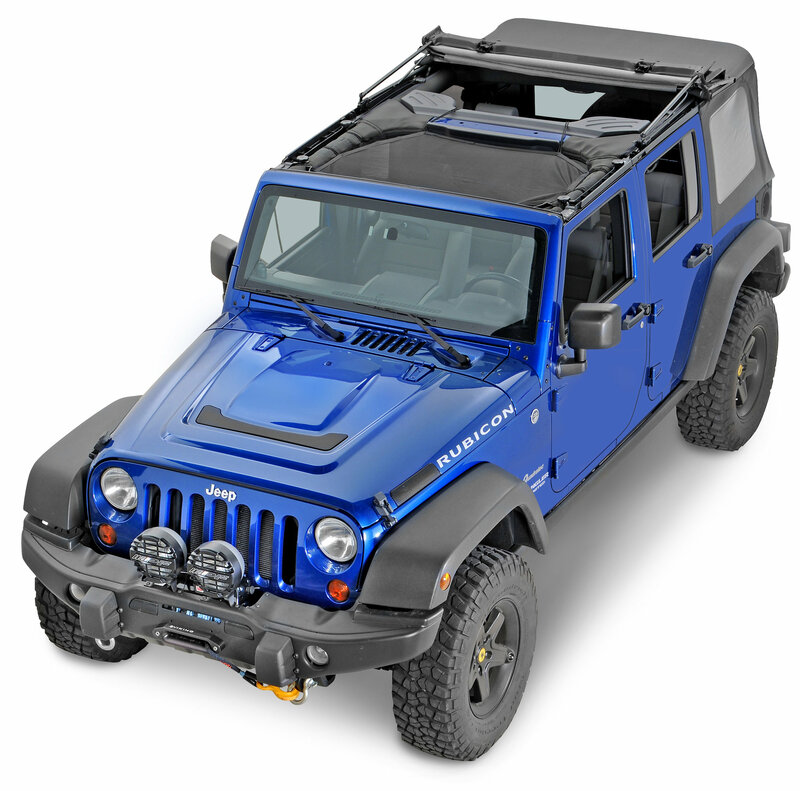 Eclipse Sun Shade by Rugged Ridge is a mesh shade that installs in between the front portion of a JK sport bar providing an open air experience while protecting passengers from the sun. 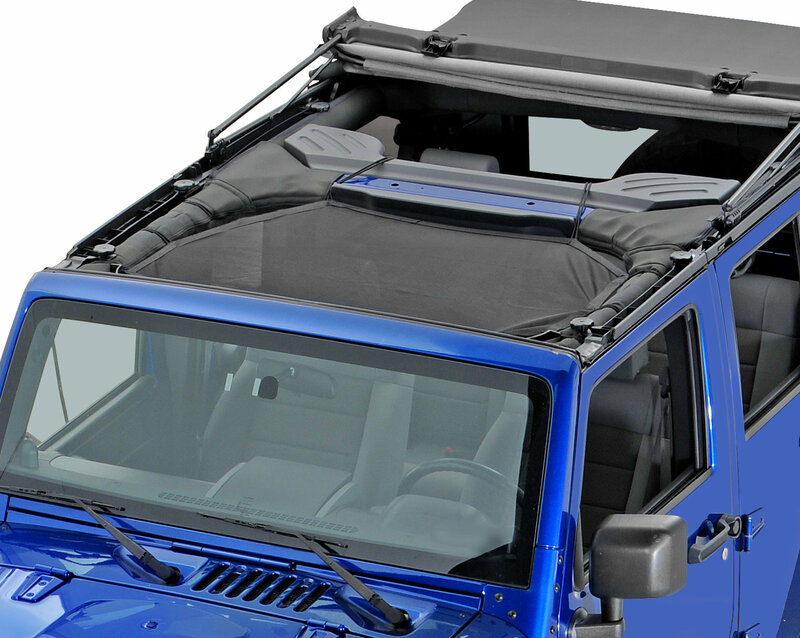 Works with soft tops & hard tops while allowing access to the top clamps without uninstalling the shade. Installs quickly and easily with a simple bungee ball installation and it comes with a small mesh carrying bag for storage when not in use. Product is a very tight fit with the Freedom panels off. 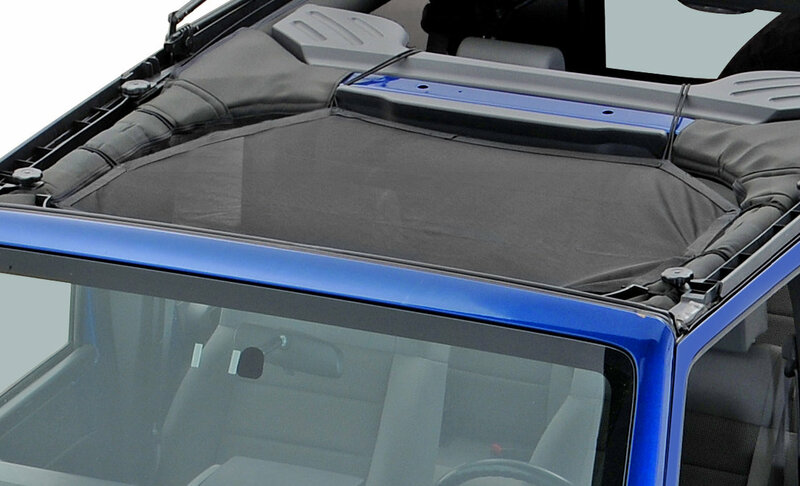 In order to put the hardtop panels back on, you have to unhook part of the sunshade. It then looks kind of wrinkled since it's only halfway setup. I am still not sold on it. Shade fits great! Came with instructions although it’s pretty self explanatory. Wife and aren’t the tallest people so headroom not an issue! Must compliment Quadratec and Rugged Ridge for excellent customer service. First shade came out and had a defective hook, the entire shade was replaced within 3 days of a phone call! I found it difficult to install. It's a very tight fit.